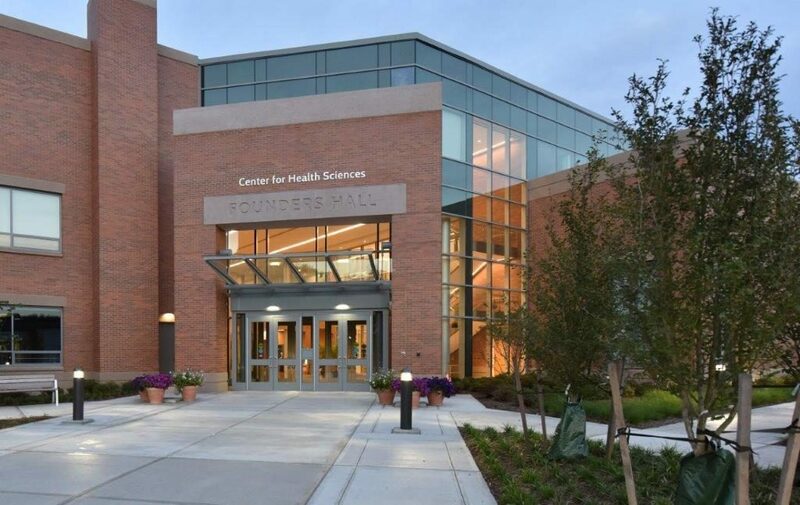 The Center for Health Sciences at Naugatuck Valley Community College in Waterbury, CT, recently received LEED Gold® Certification. JMT Architecture, as Associate Architect, provided programming, planning, and design services for this new building. To achieve LEED Gold®, the project’s green building strategies included LED lighting and locally sourced materials, including granite from a nearby historic quarry. The Center for Health Sciences project involved the complete renovation a 50-year-old, 53,000 SF structure plus a new 27,000 SF addition. 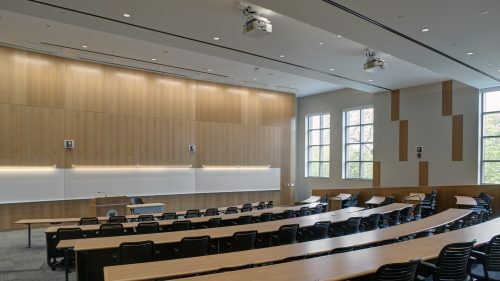 The completed building provides a new state-of-the-art, 21st Century classrooms and teaching labs; student lounge and study areas; a lecture hall; and a large sub-dividable, multipurpose space. The lab space, designed by JMT, includes active-learning labs and teaching labs to be used by students studying the College’s Health Sciences programs, including physical therapy, radiology, respiratory care, and healthcare training.